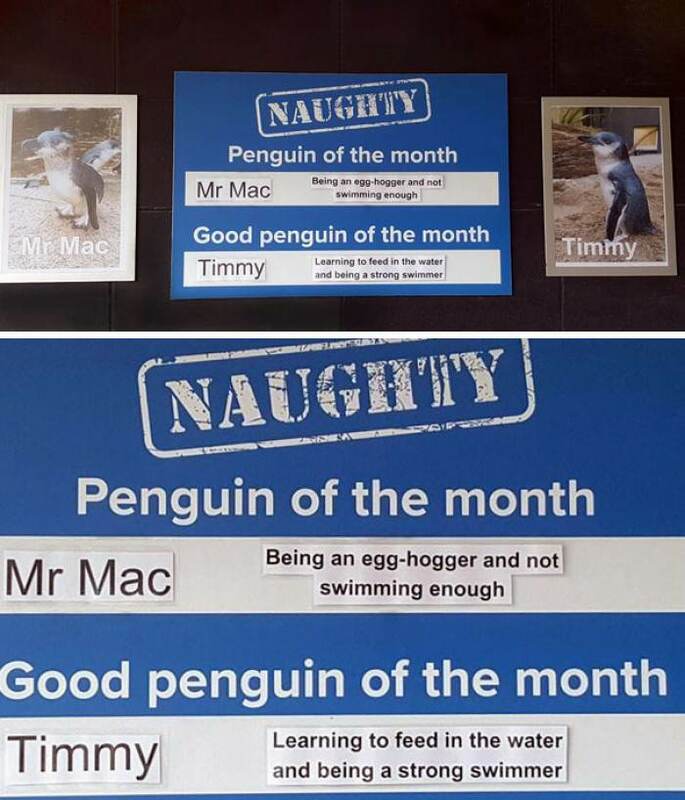 Every day someone will post a photo or a video of their pet shaming them for being naughty and not listening to their owners. These pictures and videos contain anything from dogs eating pillows or cats scratching holes in curtains. It's some pretty funny stuff, especially when owners do that whole sign thing, where they explain the "crime" that was committed on a piece of paper and place it in front of the pet. Those are most likely the funniest of them all and boy do we love to read them! But none of us have ever really thought of wild animals that behave in such a manner, because nobody posts it on the internet like ever! 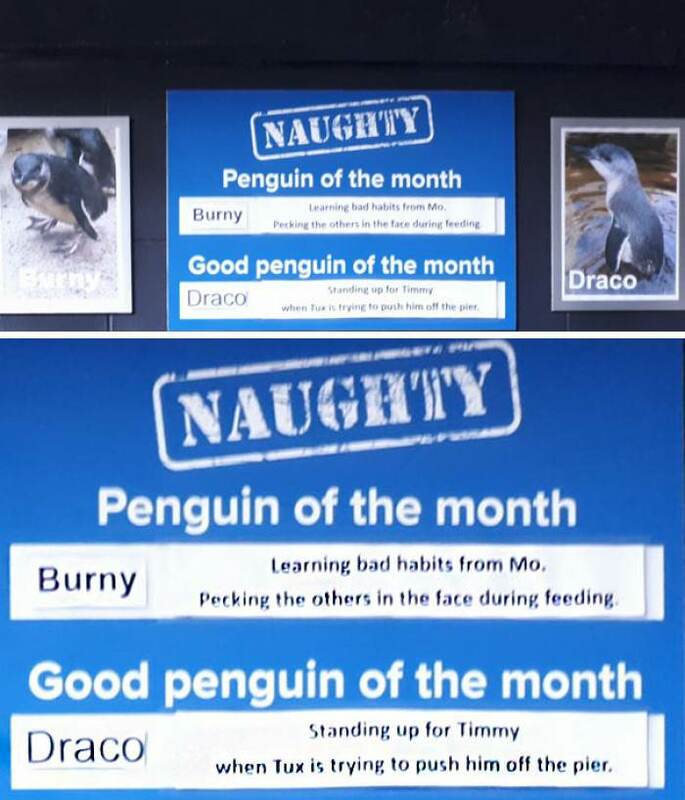 Besides that nobody would think that penguins are shameless, cute, wobbly creatures that just don't give a crap about what you think. 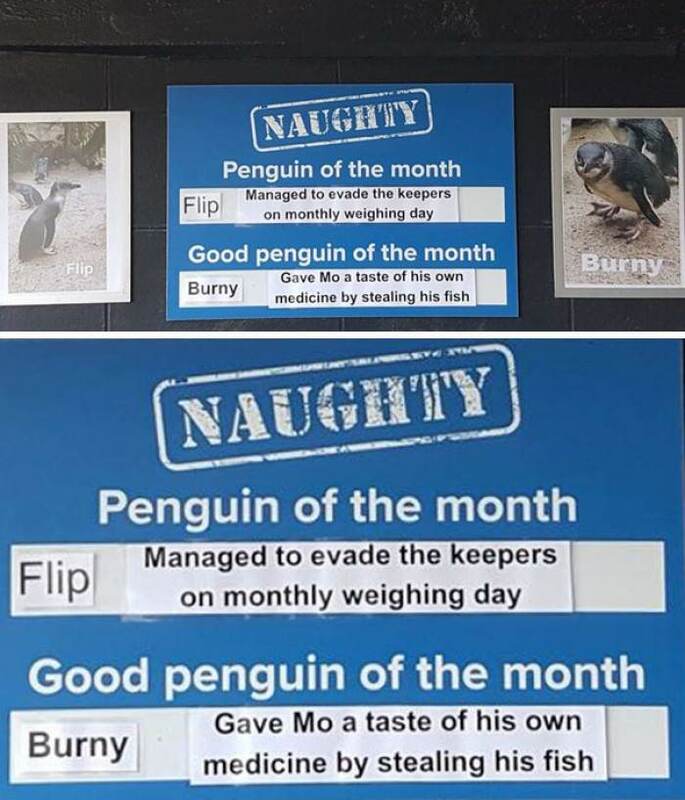 Well, the National Aquarium of New Zealand's employees got pretty sick and tired of these penguins that keeps on acting out and causing mischief wherever they go, so they came up with a brilliant plan. 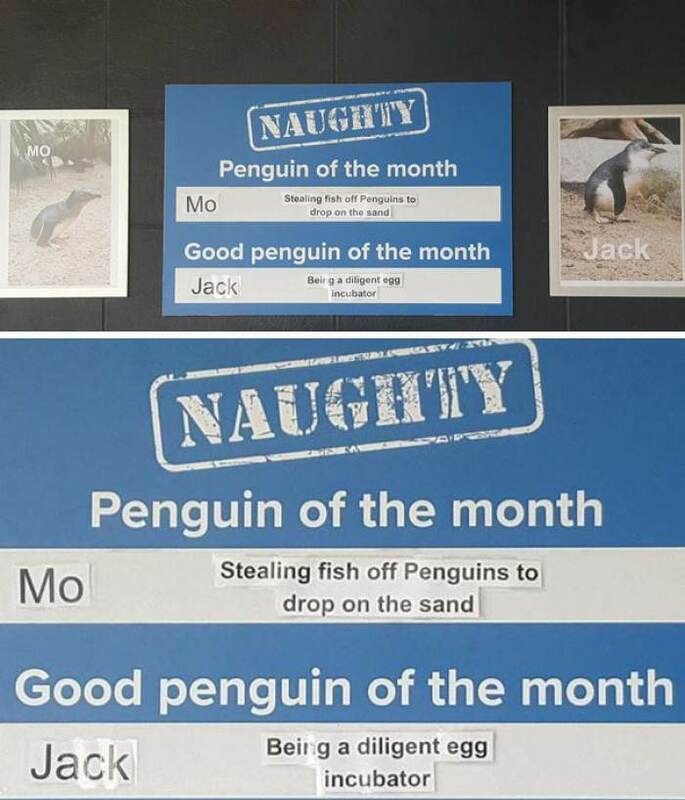 Each month they choose the naughtiest penguin and posts a photo of him or her with the "crimes" they have committed, for all the world to see. So, they are basically public shaming them. 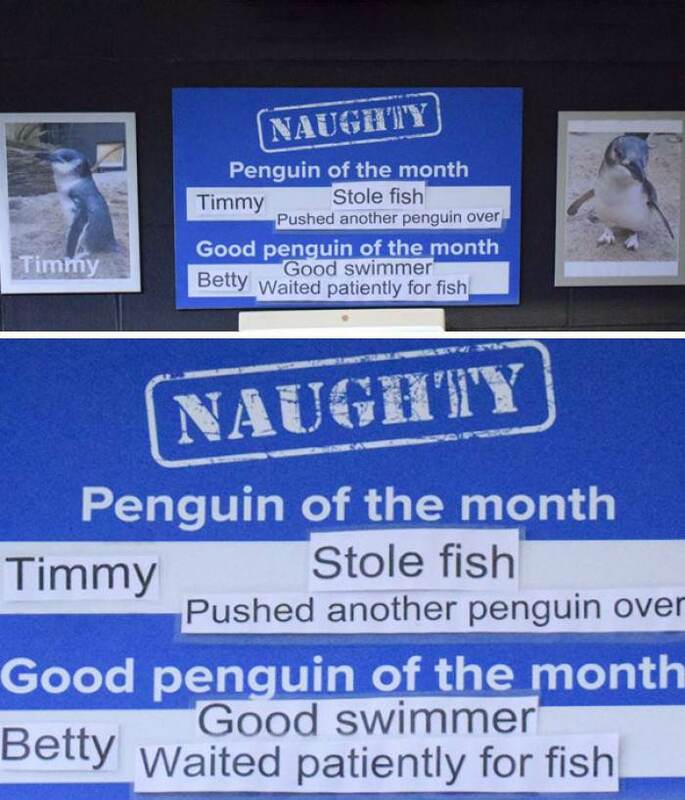 You might think it a bit harsh, because how on earth could these cute and adorable creatures be so naughty? Well, we're glad you asked! 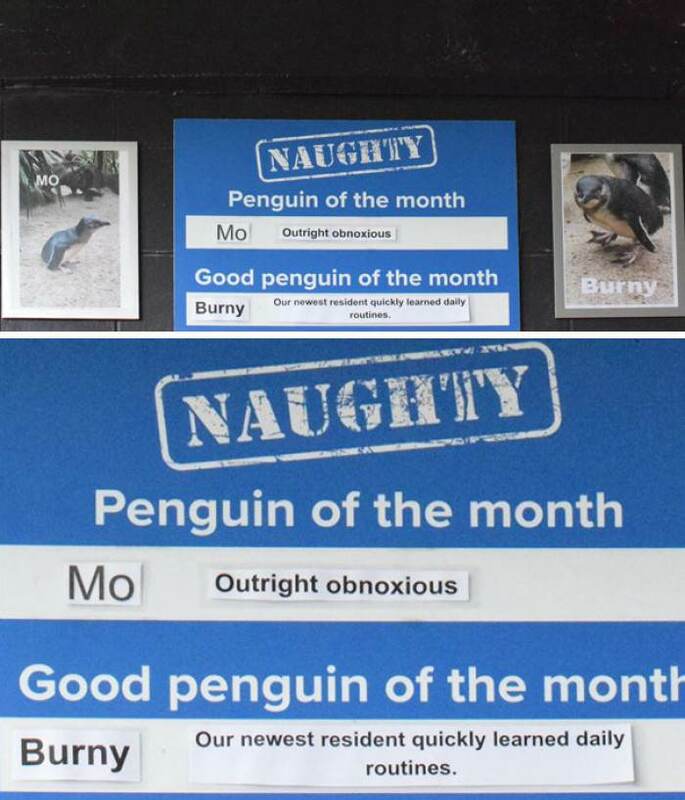 Just scroll down below and see for yourself how shameless these penguins can be, but they still stay cute though. 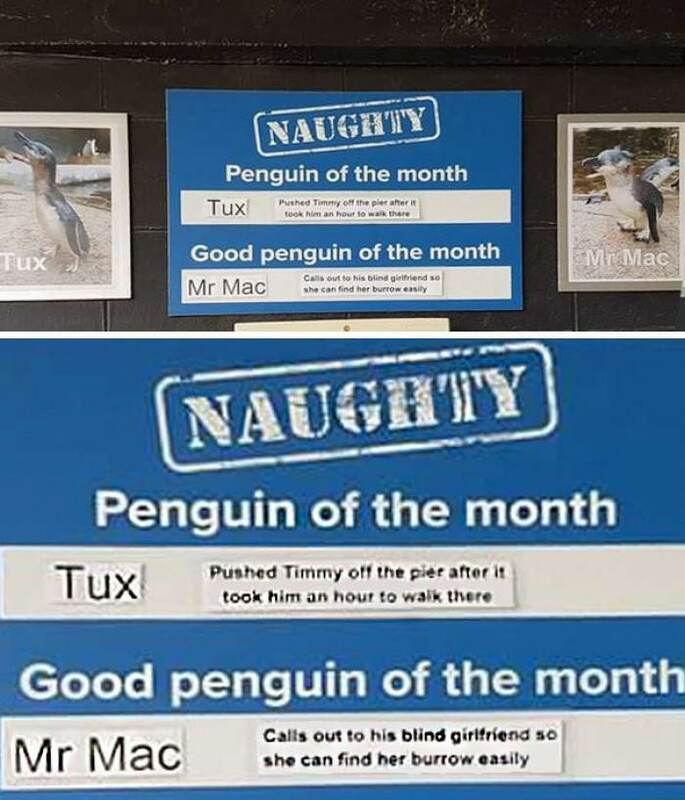 Tux likes pushing others around. Meet the expert at fish stealing, Mo. Flip doesn't like people knowing his weight. Just as we thought Burny was good, he turns around and becomes a fish stealer. 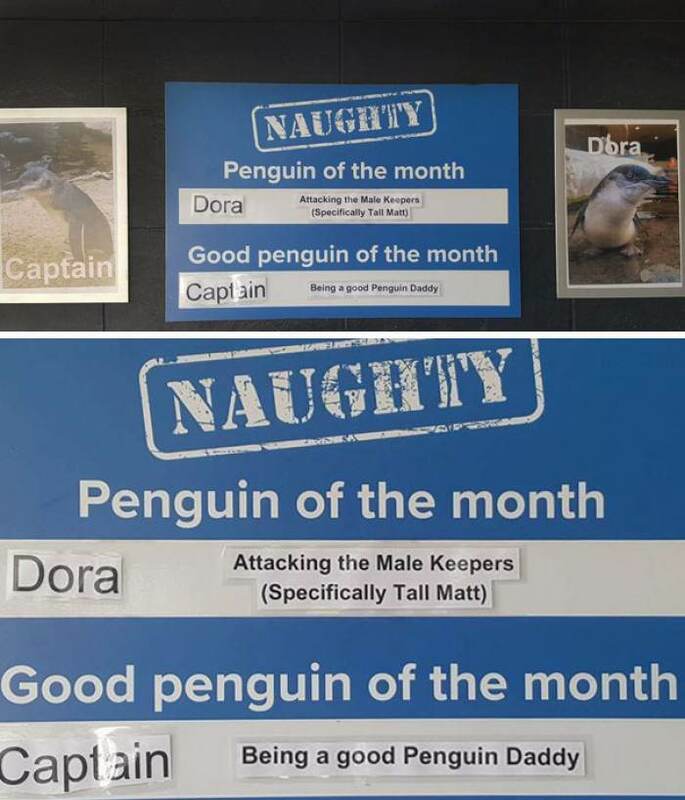 Dora apparently really doesn't like Tall Matt at all! 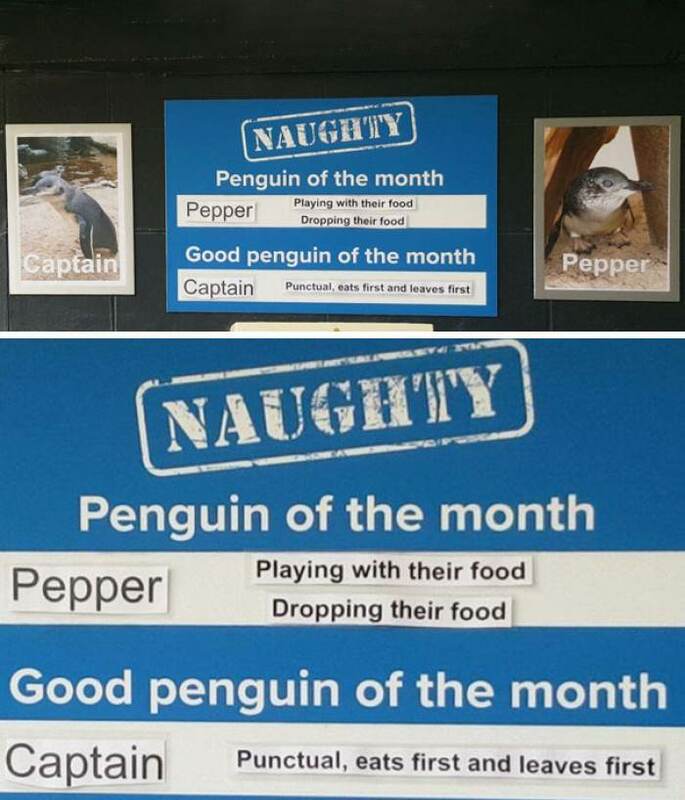 We have found the naughtiest penguin alive! 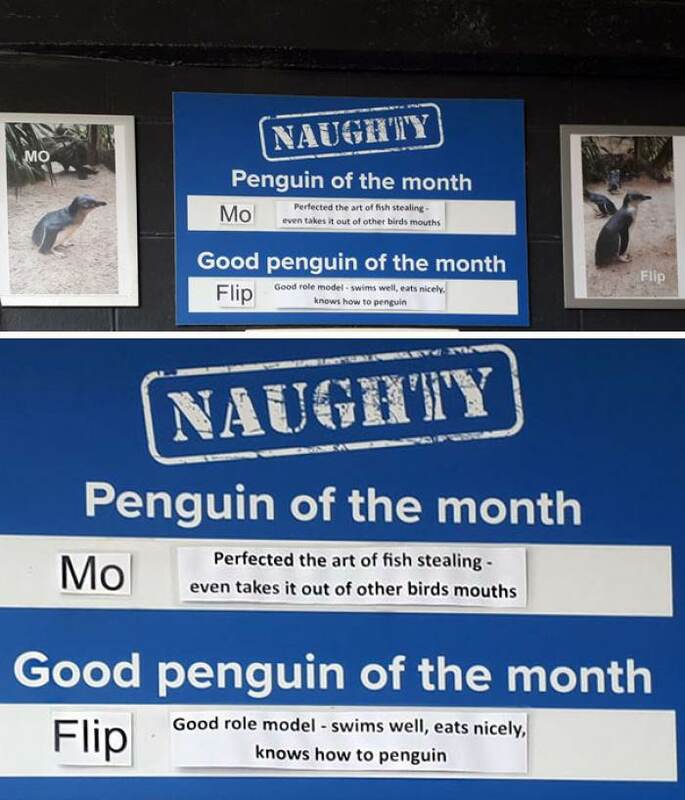 Mo just thrives on being a crime lord. 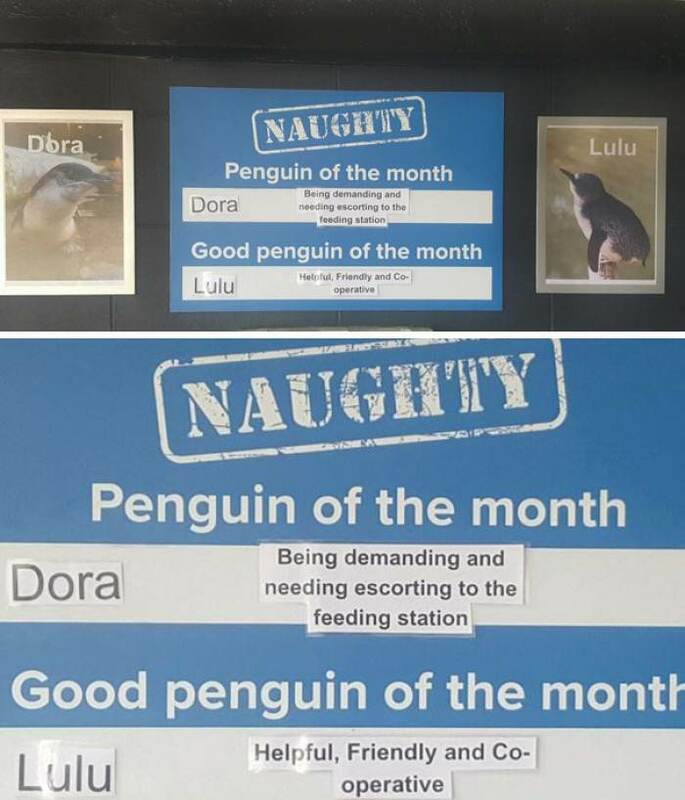 I think Dora and Mo are made for each other. 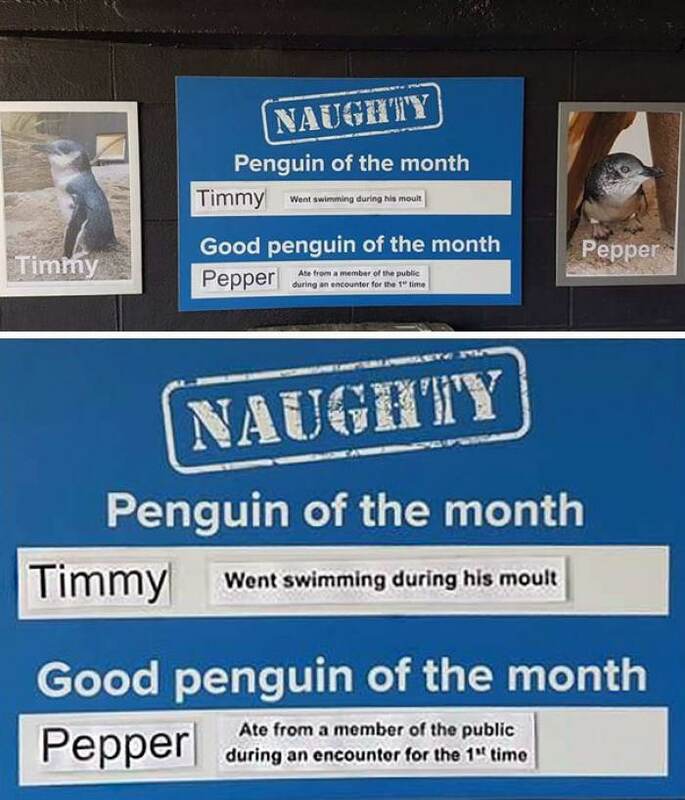 Timmy now has two strikes against him, one more to go! Doesn't like the crappy fish they give her. So, he is being lazy, so what? You gotta do what you gotta do!